C. I have never done it on the phone before- technology moves at such a pace nearly every month I seem to be doing something that I have never done before. Last week I tweeted for the first time (@canvasandclover) and I like it more than I thought I would! 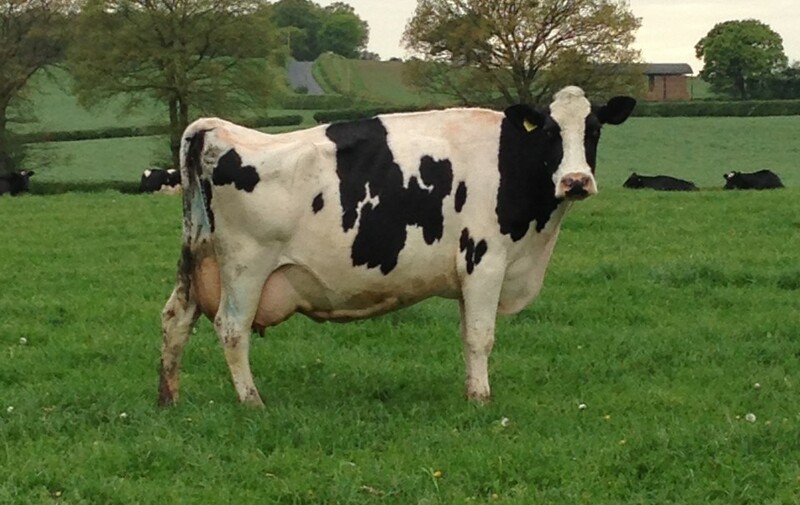 Well I have just inserted a photo and that seemed to go well! 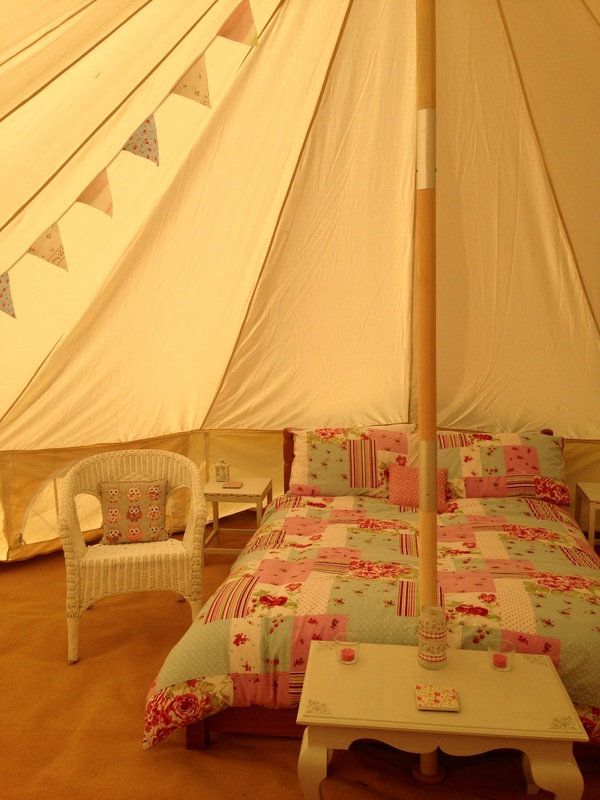 Photo is from our first bell tent erected for the photo shoot for the website. That went so well I inserted another! 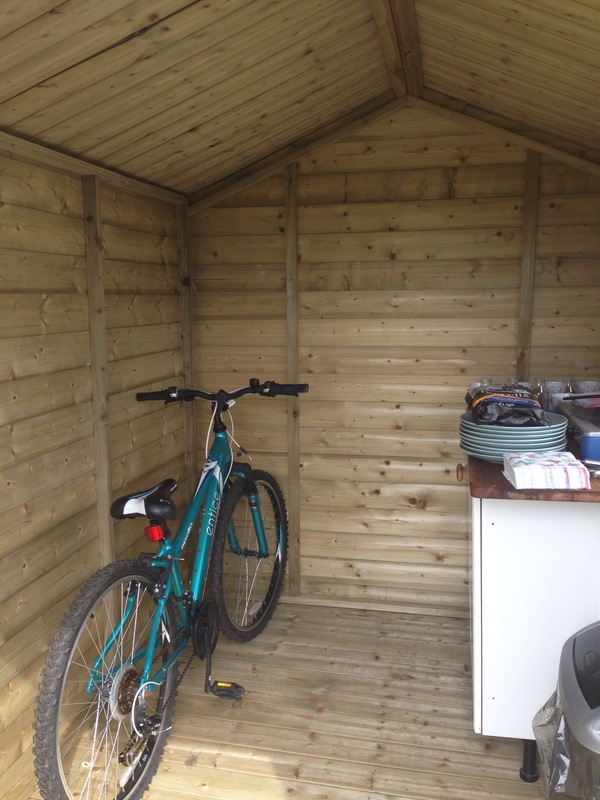 Each tent has it’s own shed with cooking area, cool box, and space for wellies bikes etc , families always have so much ‘stuff’ to put somewhere! Well, my son is asleep now so all that remains is to post it. I guess if you are reading it the experiment has worked! No doubt the next technological step forward won’t be quite so easy! 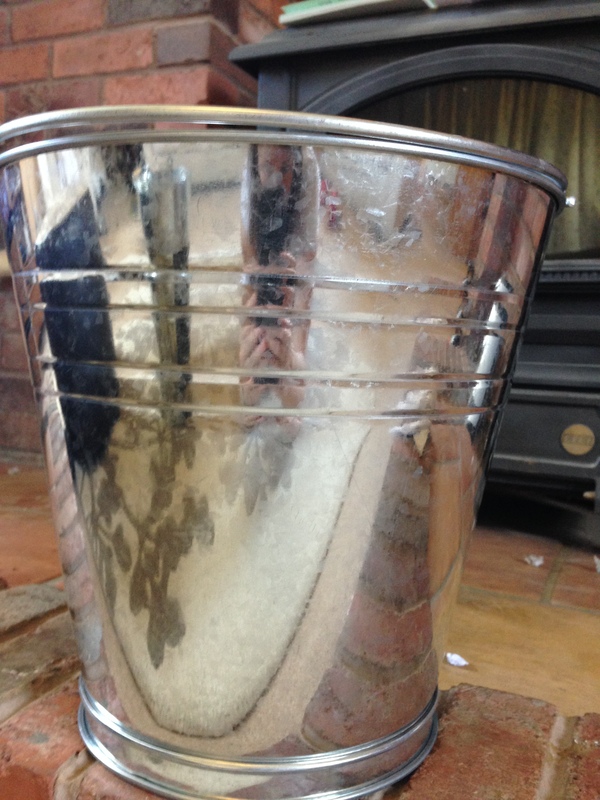 Firstly use some tape to mask off an area on the bucket for painting. 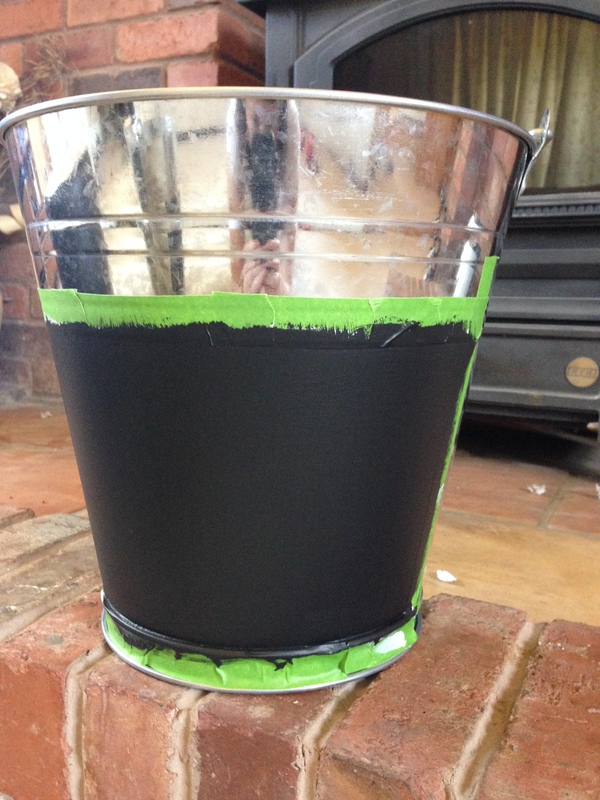 I then used a primer because I wasn’t sure how well blackboard paint would stick to the galvanised steel, then I painted the bucket with Rust-oleum chalkboard Paint. I used a paintbrush and it went on really well, but you can use a roller to eliminate brush marks. After leaving it for a few days to ‘cure’ (not sure if that’s necessary but I had read it should be done and didn’t want to risk not doing it) I hand drew a pretty border with a white gel pen. If you google ‘chalkboard borders’ a number of different designs come up. For the number, I printed off a number on the computer the size and style that i wanted, then used carbon paper to trace over it and it left a visible mark on the paint. 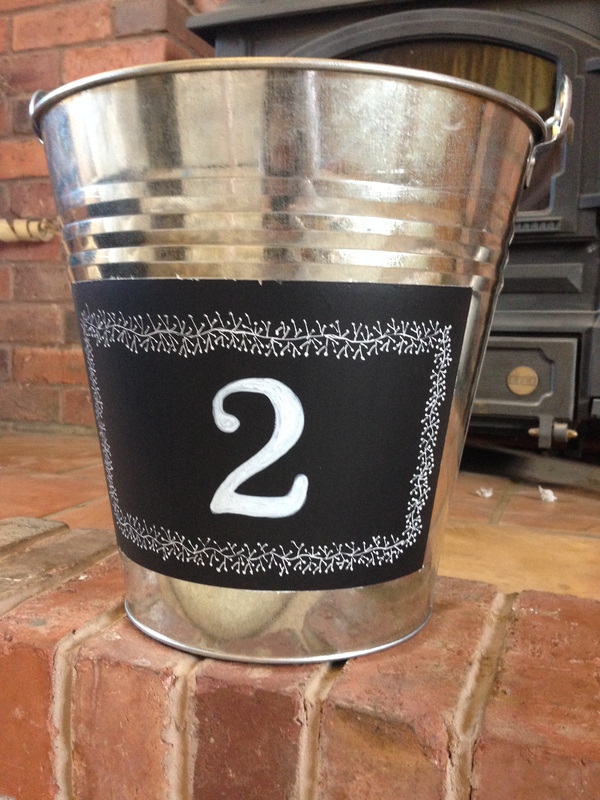 I then used a chalkboard pen (as opposed to actual chalk) to fill in between the lines to make the number. Finally I sealed it with a clear rustoleum protective seal, and job done! There is a million more things to do, but for now I am going to sit back and admire my handiwork!